As the name suggests, Long term financing is a form of financing that is provided for a period of more than a year. Long term financing services are provided to those business entities that face a shortage of capital.There are various long term sources of finance. It is different from short-term financing which is normally used to provide money that has to be paid back within a year. The period may be shorter than one year as well. Examples of long-term financing include – a 30-year mortgage or a 10-year Treasury note. Equity is another form of long-term financing, such as when a company issues stock to raise capital for a new project. To finance the permanent part of working capital. Construction projects on a big scale. Provide capital for funding the operations. This helps in adjusting the cash flow. The kind of long term financing that is provided to a particular company depends on its type. For example, the long term financing that is provided to a solo proprietorship is different from the one received by a partnership firm. 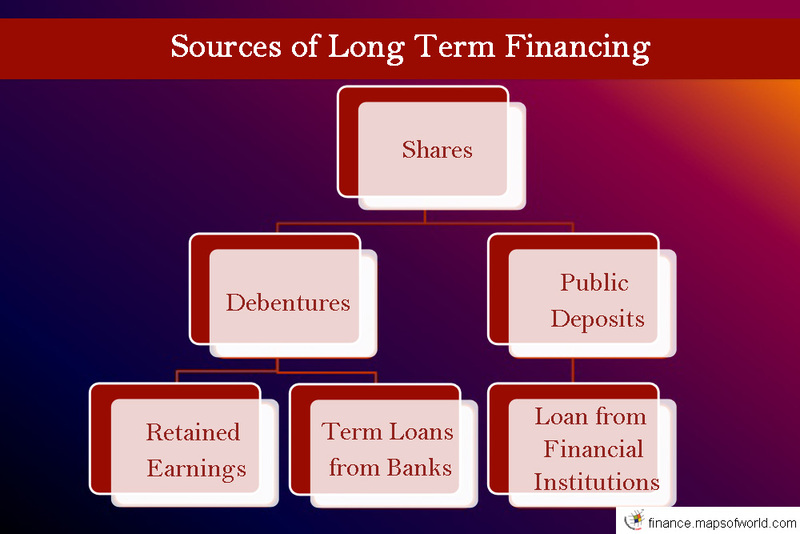 Long term financing is used in separate ways by different types of business entities. The business entities that are not corporations are only supposed to use long term financing for the purpose of debt. However, the corporations can use long term financing for both debt and equity purposes. Debentures: These are also issued to the general public. The holders of debentures are the creditors of the company. Public Deposits: General public also likes to deposit their savings with a popular and well-established company which can pay interest periodically and pay-back the deposit when due. Retained Earnings: The company may not distribute the whole of its profits among its shareholders. It may retain a part of the profits and utilize it as capital. Term Loans from Banks: Many industrial development banks, cooperative banks and commercial banks grant medium-term loans for a period of 3-5 years. Loan from Financial Institutions: There are many specialized financial institutions established by the Central and State governments which give long term loans at reasonable rates of interest.